Dr. Mowlavi is a Board-Certified Plastic Surgeon who performs outstanding General and Cosmetic Plastic Surgery that provides his patients with the outside appearances they always dreamed of. Dr. Mowlavi understands that the way we look on the outside has a big impact on the way we feel on the inside. An aesthetically-beautiful appearance helps boost self-esteem, helping his patients take on life goals they might otherwise feel too bashful or too self-conscious to tackle. Before every procedure, he involves every patient in an extensive dialog where he discusses procedures, recovery, desires and realistic expectations. His portfolio is extensive and showcases his exceptional work. Dr. Mowlavi understands the importance of the decision to undergo cosmetic surgery. He knows that one of the most critical decisions you will make is choosing your plastic surgeon. He has exceptional accreditation, including being certified by the American Board of Plastic Surgery, and possesses a keen eye for aesthetic beauty. Cosmetic surgery is a perfect marriage between the science and artistry of plastic surgery; while the principles of plastic surgery are concrete and well-recognized, cosmetic surgery is also a catalyst of artistic expression. Dr. Mowlavi takes pride in his evaluation technique. He involves every patient in an individualized dialog, focused on many key aspects of procedures, including: functionality, aesthetics, artistic quality, maintenance and general health concerns. For Dr. Mowlavi, each patient presents a unique challenge based on patient desires, expectations and realistic results; he manages to combine them in every procedure, matching his patientsâ€™ expectations with fantastic results. Having spent over a decade evaluating ideal aesthetic figures, including various head, neck and body regions, he has optimized his surgical effects. He has published extensively-studied research in nationally-recognized publications. He is a patient listener and terrific communicator. He listens carefully to every patient to establish a complete understanding of desired results, then constructs a virtual â€œbefore and afterâ€? visual so every patient understands what to expect, before bringing the expectations to reality. Dr. Mowlavi is adamant about safety concerns when undergoing plastic surgery procedures, during recovery, and living with your new body. The most important consideration when contemplating cosmetic surgery is your safety. To this end, every patient is provided with a skilled, highly-trained and knowledgeable staff who understand every aspect of your procedure, from anesthesia, performed by a board-certified anesthesiologist, to the procedure, to the recovery process, to at-home care. He and his staff are compassionate and caring, always ensuring you are 100% safe. Dr. Mowlavi offers a wonderfully helpful program called The Perfect Change Program. This exchange program provides his patients with the opportunity to interview other patients about their procedures, in order to gain important feedback, helping patients feel more comfortable about their procedureâ€”his #1 priority. 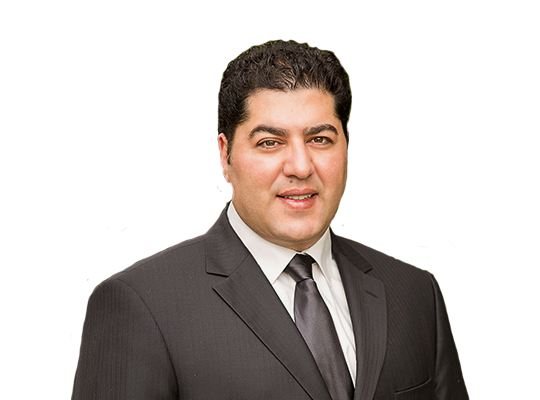 To learn more about Dr. Mowlavi, visit www.orangecountycosmeticplasticsurgery.com or call (949) 438-2990 to schedule a consultation today. Are you a patient of Dr. Arian Mowlavi? Login to your Who Is Who account and share your experience with Dr. Arian Mowlavi. It takes seconds to register. Start your FREE account today and share your expereince with Dr. Arian Mowlavi.